Noah's meandering memoir of childhood adventures – and traumas – and then connecting the dots between these childhood events and his later, adult preoccupations and the process of personality formation. Growing up in a family of eleven(!) 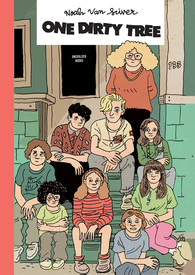 – mom, dad, eight siblings and himself (although the oldest sibling is not present here, having married young and gotten out of there) – certainly colors his childhood experiences with an outlier status, at least when situated among his fellow comics makers (excepting, of course, his older brother, Ethan), and likely most comics readers as well. 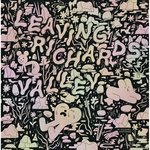 One Dirty Tree is a 116 page, full color, hardcover that contains over 100 pages of insightful, engaging and entertaining comics storytelling, for the most part using the six-panel grid; yet another fine Noah Van Sciver production.